Guidelines - All recreational fires are governed by the Minnesota DNR as established by Minnesota Statutes and the Minnesota State Fire Code. The following are the rules, restrictions, and guidelines concerning recreational fires. Location - Recreational fires shall not be conducted within 25 feet of a structure or any combustible material unless contained in a portable barbecue pit, or a well maintained, approved fire restrictive enclosure. Conditions that could cause a fire to spread to within 25 feet of a structure shall be eliminated prior to ignition. Size - Size of recreational fires may not exceed 3 foot diameter x 2 feet in height and must be contained in an approved manner such as a portable barbecue pit, fire pit, or fire ring. Prohibited Fuels - Yard waste, waste matter, rubber, plastics, construction debris, trash, demolition material or flammable liquids, shall not be used for fuel. Fire Extinguishing Equipment – Buckets, shovels, garden hoses or a fire extinguisher with a minimum 4-A rating shall be readily available for use at recreational fires. Attendance - An attendant shall supervise a recreational fire until such fire has been extinguished. Fires found to be unattended will be extinguished by the fire department. Time Restriction - Recreational fires shall be extinguished by midnight. Offensive Smoke & Odors - Special consideration must be given to prohibit/control objectionable smoke or odorous conditions. Discontinuance – Fire department personnel are authorized to require that recreational fires be immediately discontinued if it is determined that a hazardous condition exists. 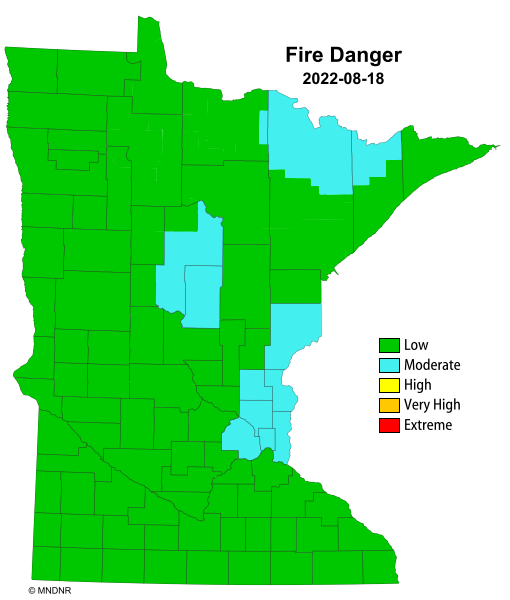 Burning Restrictions – The Fire Department periodically restricts Recreational Fires due to hazardous, dry and windy weather conditions or based on MN DNR guidance. To determine if recreational fires are being permitted, please check the status on this page or contact the Fire Department at 651-552-4176. Any questions contact: South Metro Fire Department administration at 552-4176.